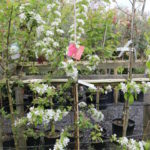 Malus x robusta ‘Red Sentinel’ is a medium-sized deciduous tree. 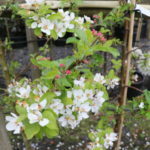 It produces fragrant, single white flowers in spring, that are followed in the autumn with clusters of cherry-like deep red glossy fruits that last well into the winter. 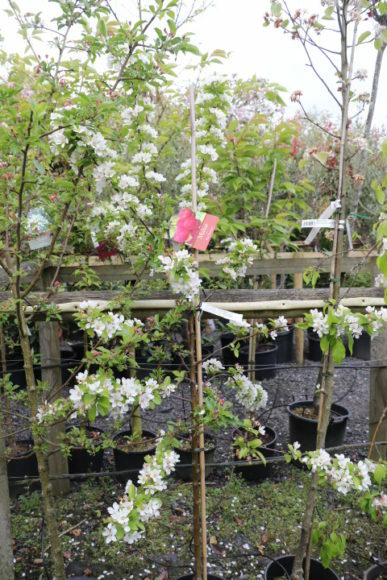 Malus x robusta ‘Red Sentinel’ can be positioned in full sun or partial shade, in either a sheltered or exposed spot. 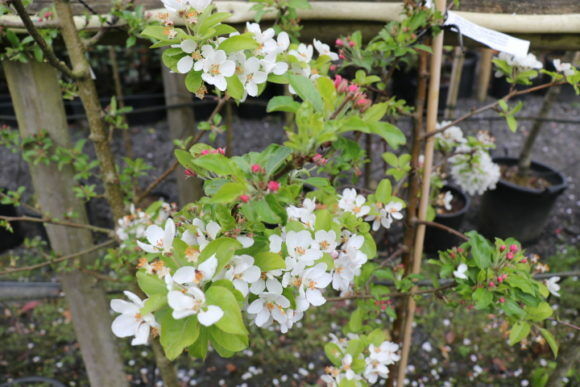 It prefers a moist, well-drained soil and has an eventual height of 4-8m and spread of 4-8m after 10-20 years.